Used Burbank Benge Bb trumpet in lacquer finish. From the collection of James Darling, Cleveland Orchestra (retired). 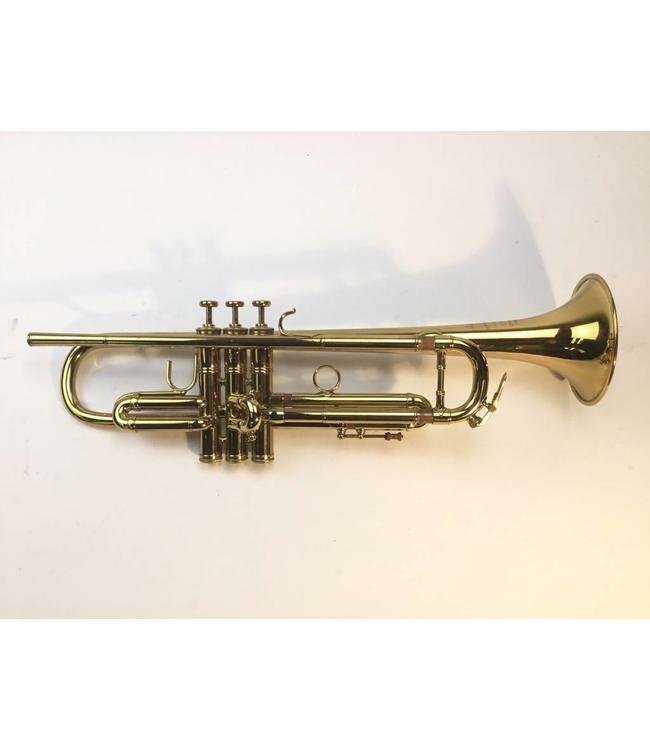 This trumpet is in very good condition with the exception of moderate red rot in the leadpipe and minor signs of red rot in the tuning slide. "This letter is in regard to my Benge Bb trumpet serial #3379. This instrument was purchased by my private teacher, Dr. Glenn Immegart, in 1954. He travelled from Cincinnati to Chicago to select a trumpet from Elden Benge for his personal use. Even though it was made and purchased in Chicago, Mr. Benge used his new Burbank stamp as he was soon moving to California. Thus this “Chicago” Benge bears the Burbank stamp. Many years later it was re-lacquered in Cincinnati and purchased by me from Dr. Immegart. We have been the only two owners. I used this Benge over many years in my teaching and performances in the Cleveland area, both in chamber music and with The Cleveland Orchestra. On a personal note, I loved playing this particular trumpet. I used this instrument in my personal practice at home 75% of the time. Its tone, responsiveness, and excellent intonation made playing it a pleasure. The fact that it was selected and played by Dr. Immegart makes this trumpet a truly special instrument for me. I highly respect and admire him as a teacher and person; he has had an extremely positive influence on my musical and professional development.